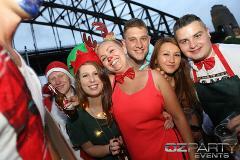 Fuel the festive spirit with the OzParty Ultimate Christmas Eve Cruise, Sydney! A sell-out event for the past 7-years our christmas cruise event has now become legendary on the 'what's on in Sydney at Christmas' Calendar for travellers!! 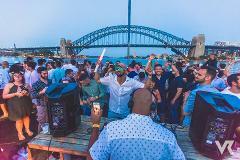 Celebrate New Years Day Sunrise on Sydney Harbour with 300+ partygoers from around the world aboard this spectacular Sydney New Years Harbour Cruise 2019! 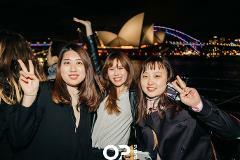 Celebrate the 2018-19 festivities in the heart of the Sydney NYE action aboard this spectacular NYE Sydney Harbour cruise with food, drinks, entertainment and prime views of the Harbour Bridge and Sydney Opera House fireworks. 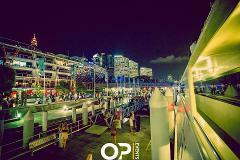 Celebrate NYE in Sydney aboard this stylish boutique catamaran with large terrace and retractable roof! Enjoy an all-inclusive buffet & beverage package as you sail across Sydney Harbour with the best view of the NYE Sydney fireworks! Celebrate the festivities of Sydney new year and soak up the stunning views and Darling Harbour fireworks from one of Sydney’s most iconic waterfront bars! Choose your ticket from General Admission to VIP! Celebrate Sydney NYE in style on this elegant and sleek glass boat. Sail across Sydney’s glistening waters with an all-inclusive cruise package on the best Sydney NYE cruise with undoubtedly the best views of the fireworks in Sydney! One of the Best Melbourne Cup Cruise Packages in Sydney hosted on a glass island boat with plentiful buffet and free-flow drinks package plus fun cup sweeps / prizes and giant screens streaming all of the Flemington trackside coverage. Celebrate Melbourne Cup in Sydney in a choice of 4 venues with a fabulous free flow drinks and dining package plus fun cup sweepstakes and prizes and all of the race-day action straight from Flemington streamed throughout the venue screens. 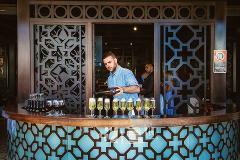 Celebrate Melbourne Cup 2018 Sydney with a 3-hour fabulous canapes and beverage package at this ultra stylish rooftop cocktail bar in Sydney CBD. Get in quick - this one will sell out. 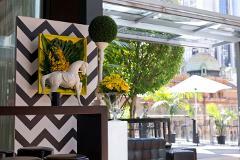 Experience the best of the Melbourne Cup excitement amongst the hustle and bustle of this lively, characterful bar located in Sydney's historic Rocks. 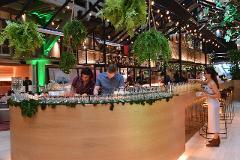 Enjoy a canape and free flow drinks package in reserved booths and dedicated wait staff. Celebrate Melbourne Cup in Darling Harbour, Sydney with a fabulous all-inclusive canapes and drinks package plus fun cup sweepstakes and prizes and all of the race-day action straight from Flemington streamed throughout the venue screens. 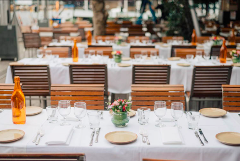 A fabulous Melbourne Cup Lunch Package in Sydney hosted in a Mediterranean style venue with an all-inclusive canapes and drinks package plus fun cup sweeps and competitions, and all of the race-day coverage streamed on the venue screens! 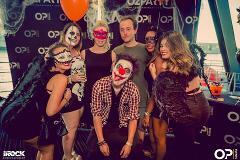 Celebrate Halloween partying on Sydney Harbour with OzParty's Ultimate Halloween Cruise in Sydney. Featuring top DJ's, one of the best boats in Sydney with rooftop terrace, Halloween theme, food + drinks specials, prizes + free after party!